Description: Blue and white. A short zipper in the neck. In white letters the word SUOMI. Rib-knit waist, sleeve ends, collar and shoulders. Production mark: Atlas 48. Other information: Used by Ulla Pokki (later Lanning) who took part in women’s 100 metres and the 4×100-metre relay. 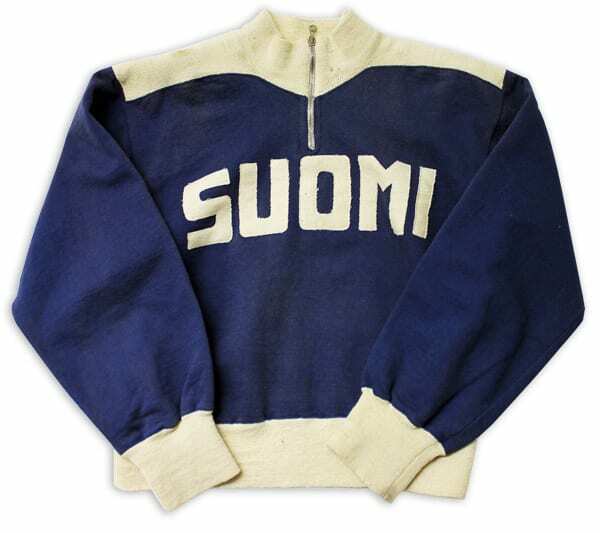 The same model was used by the Finnish team at all Olympic Games between 1932 and 1964.